The future, it seems, is in drones. Although the concept of what the Americans call an Unmanned Aerial Vehicle (UAV) has been around since the mid-1800s (when the Austrians sent unmanned balloons to attack Venice), it is in the last decade that drones have really come into their own. The American military are now training more drone pilots than actual pilots and it’s estimated that there is at least one deadly drone attack every week in Pakistan. Why bother putting troops on the ground when you can attack the people you don’t like anywhere in the world with an armed remote-controlled aeroplane? Not wishing to fall behind in the latest space-race, the French military is seemingly determined to strike while the iron is hot. 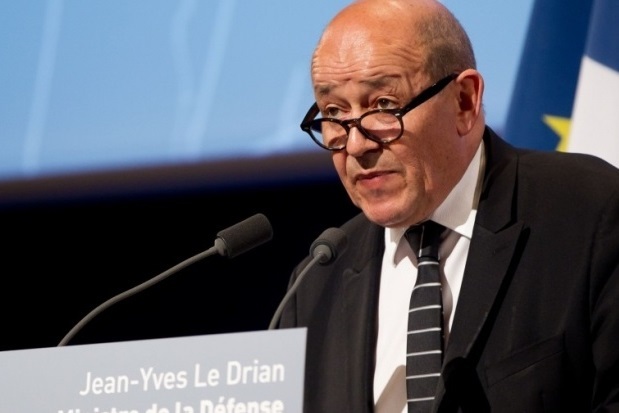 Just one week after the French government decided on its defence budget and after the D-Day celebrations during which military aviation played a major role, Defence Minister Jean-Yves Le Drian hammered home the advantage. The money spent by France on defence – particularly in aeronautical combat – allows it to maintain a level of competence and lots of jobs of high added value in France, he said, as well as breaking new technological boundaries and passing on the benefit to civilian activities. 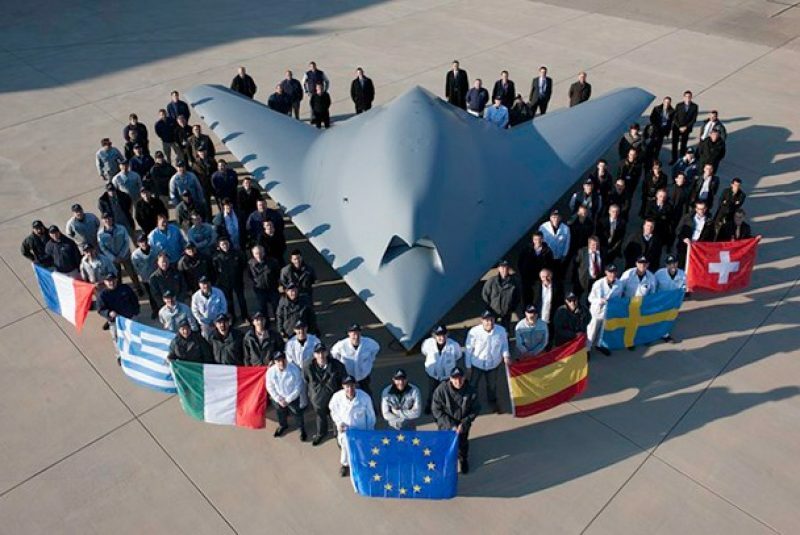 “The existence of a strong aeronautics division is decisive for France,” announced Le Drian at the flight trial centre belonging to the Direction Générale de l’Armement (DGA) in Istres in Provence. The DGA celebrates its 70th birthday this year. The minister had earlier attended a trial flight by a nEUROn – prototype of a combat drone developed by Dassault Aviation. The UK-France accord of Lancaster House in 2010 will be formalised next month when the French and British military aviation heads meet again at the aeronautical salon of Farnborough next month to launch the definitive phase of their Future Combat Air Systems that will see a new generation of military aircraft developed and built by the two countries. The €200 million announced yesterday will be dispersed between British and French companies. The military sector at present represents approximately one quarter of the estimated 300,000 jobs in the French spatial and aeronautics industry.